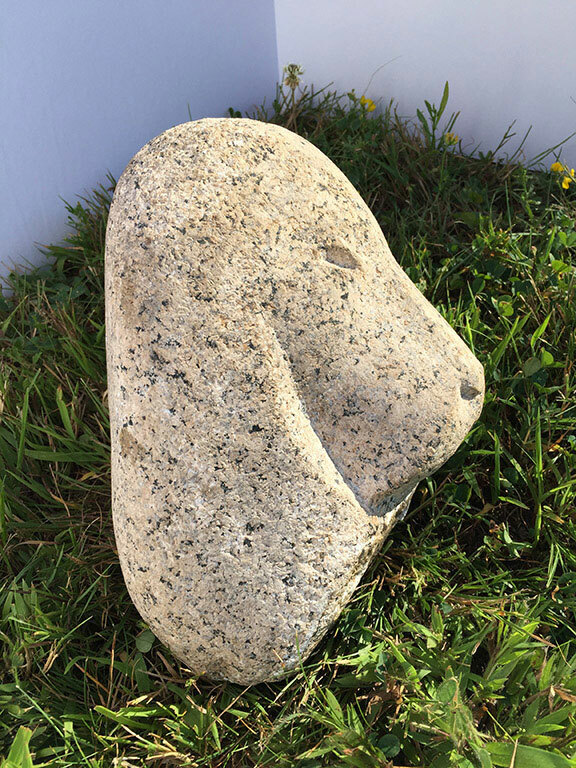 Dog’s Head, a direct carving from a beach pebble of Vinalhaven pink granite from North Haven Island, Maine. Mounted on a stepped wood base carved to seat the long ears. Frederick Warren Allen, Sculptor. What a charming little pup! Fred Allen enjoyed animals of all kinds and had a family dog that he loved to tease by putting peanut butter on the roof of her mouth. He had a favorite pooch as a youth, a big white bulldog named Prinnie and missed her terribly after she died. 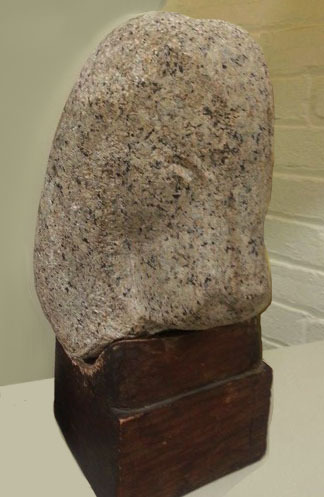 This head sat with other carvings on the windowsill in Allen’s studio for years in front of the Connick stained glass window. Not a bulldog face, this gentle sweet face looks more like a cocker spaniel with a high crown, flat nose bridge, square muzzle and long ears. 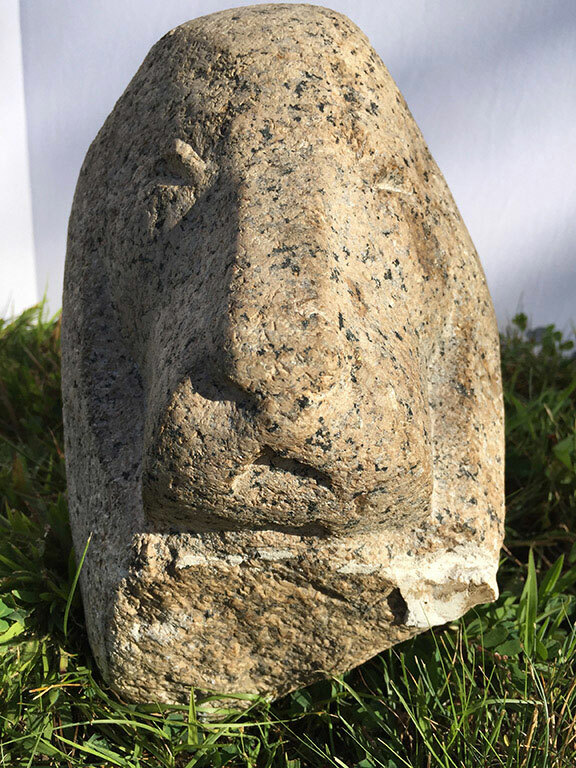 It has been carved in the pink granite found on Vinalhaven Island in Penobscot Bay across the “thoroughfare” from North Haven. Its large chips of black, quartz and rose give the overall appearance of blonde fur. Notice how the face has been polished smooth and the fur has been rasped to show contrasting texture. It’s also intriguing to see how he built a special stepped wooden base and cut a groove across the width in which to place those long ears and keep the head upright. Details have been kept to a minimum, the eyes and nose only suggested. The shape of the head is what matters here and the feeling … makes you want to give the pooch a hug.